VCI knows the importance of providing great service to your customers. That's why we take pride in our warehousing, mail handling, and fulfillment services. VCI is proud to provide short- or long-term secure and weather-protected storage to federal and commercial clients. We'll warehouse your items as per the international standard operating procedures as well as distribute them as instructed from you and your customers. In fact, we'll pack, crate, and ship products co-signed to us using the US Postal Service, nationally recognized commercial freight forwarding companies, and local couriers. All shipped items can be tracked using I/T capabilities. With our automated inventory/locator system and financial accountability, we successfully process several thousand line items per year. All requirements are serviced according to the special instructions you give us or within 3 days after the receipt of demand. We are capable of providing relocation project planning and management, along with other services, including move coordination/supervision, vendor coordination, and light transportation support. 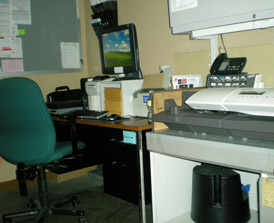 VCI offers mail management services. This means that we'll receive, account for, create address labels, and ensure postage accuracy using computerized systems. Then we use the US Postal service, major commercial freight forwarding services, or independent couriers depending on the most cost-efficient service that can comply with your scheduling requirements. You'll be provided with a detailed shipping status. 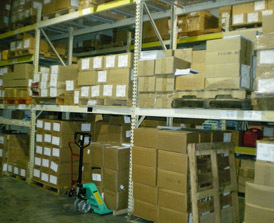 Let us provide you with the accurate, secure, and on-time pick-up, processing and delivery services you need.